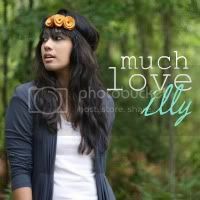 much love, illy: June's Double Giveaway!!! today i am super thrilled to show off two of June's incredible sponsors! having owned my own handmade biz for a couple of years now, handmade businesses and their owners have a special place in my heart - and these two talented biz gals offer some beautiful creations with variety and uniqueness. be sure to not only enter their fabulous giveaway, but follow their blogs to get to know them a little bit more. you won't be disappointed! meet Jac Shull of Nora + Jac. 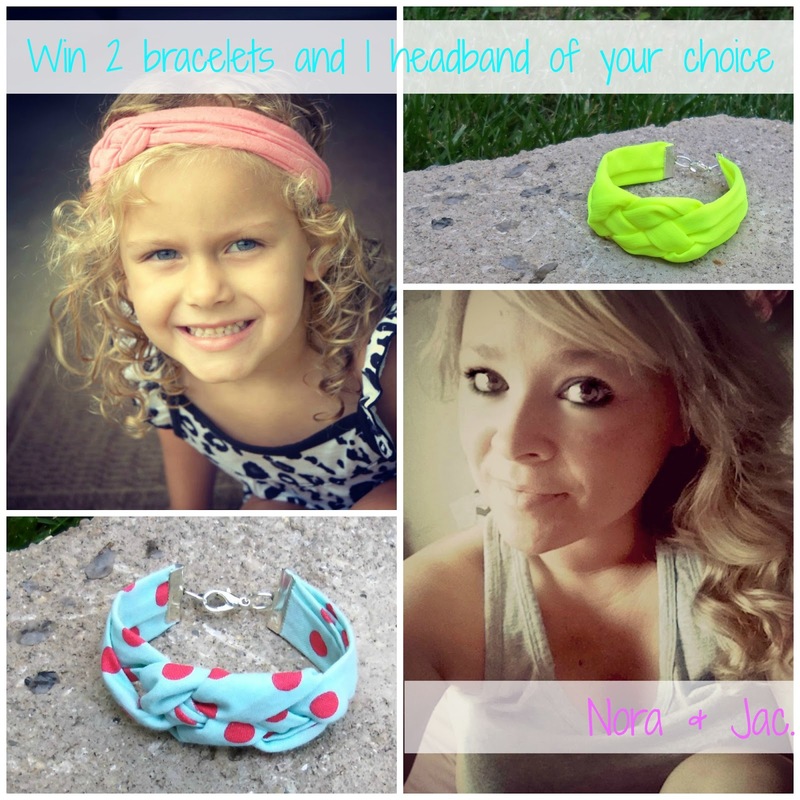 giving away two bracelets and headband of your choice from Nora + Jac! meet Zina of Ef Zin Creations. giving away a Ef Zina Creations $27 gift card! exclusive discount code: use code PINK10 for 10% off of your entire Ef Zin Creations order! Giveaway is open to ALL Much Love, illy readers thru July 2nd. Winner will be announced on July 5th. I love the Nora & Jac sailors knot bracelet. The blue beaded bracelet is lovely. I'd probably buy that! love the mint dot sailors headband from nora & jac! like the white coral bracelet from ef zina! I like the sailor's knot bracelet the best. My favorite item is this headband! From Nora & Jac, I love the leopard print headband and the eyelet infinity scarf! From EFZin Creations, I really like the monogram chain bracelet! The white and blue beaded necklace in EFZin Creations shop is beautiful. There is a lot to like.. love the Grey Post Earrings from EfZinCreations! Love the Mint dot Sailers Knot headband from Nora & Jac!! Great collection! But my favorite is Sailor's Bracelet! Now that I'm having a girl, I'd LOVE to win so I can buy her a little headband! Eee! Loving the mint dot sailors knot headband! I love the knot bracelet! Zina's creations are more than great! 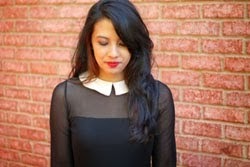 This one of my favorite pieces https://www.etsy.com/listing/118020659/passion-beaded-necklace-black-red?ref=shop_home_active. It is simple yet elegant, casual and at the same time formal! ahhhh, i love the shop!! thanks so much for the awesome giveaway! I know Zina's work and I love it! She is amazing and I can't wait to own another one of her beautiful creations! Zina makes great pieces, i wear many of them every day. Nora and Jac have a lot of nice things. I liked a lot the blue bracelet with pink dots. Nice work from both of you! !